This is the 8th year that a motley collection of SoCal TDs has come together to hold a bunch of charity fundraising disc golf events under the Ice Bowl banner. 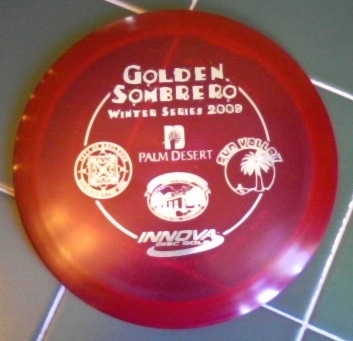 The Golden Sombrero Series of Ice Bowls started out as the “Triple Crown of Ice Bowls” in 2008 with Redlands, San Marcos and Palm Desert participating and grew to a 4-event series in 2009 with the addition of Sun Valley. This year the Golden Sombrero Series will have ten events in L.A., San Bernardino, Riverside and San Diego counties during the months of January and February. All ten of the events are held under the umbrella of the Ice Bowl movement as charity fundraisers, with the focus on raising money for local food banks. 8th Annual Redlands Ice Bowl at Ford Park – Saturday, Jan. 3rd. You can see the full Golden Sombrero standings here.